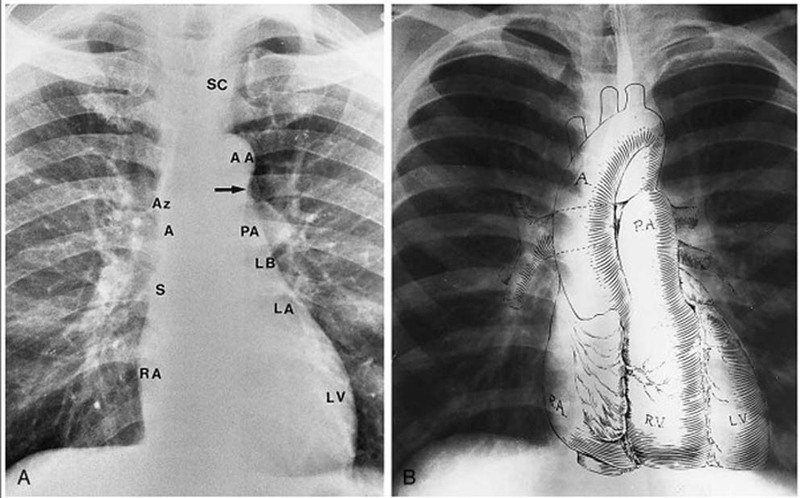 It is at times difficult to interpret a PA chest X-ray as the amount of information present is huge. A systematic approach should always be done. 6) the areas seen below the diaphragm and above the thorax. The heart borders are explained in this post. The x-ray on the right side i.e. B shows the actual positioning of the heart in a normal individual. Very informative Blog post. Thanks for sharing the nice information regarding the Interpretation - Heart borders on Chest X ray.